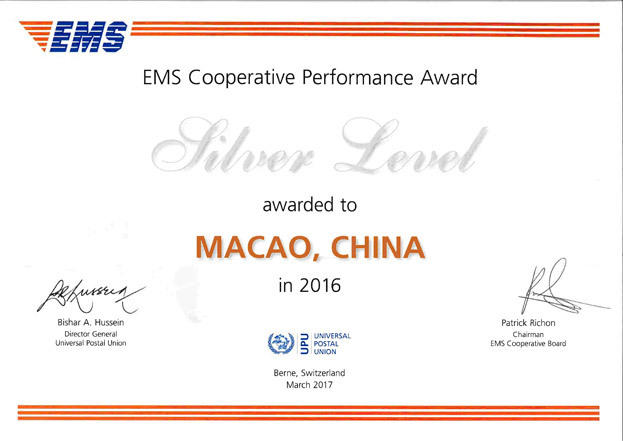 In order to encourage and reward outstanding performance of EMS service provided by postal operators, EMS Cooperative, a sub-group of the Postal Operation Council of the Universal Postal Union, organizes the EMS Cooperative Performance Award programme every year. 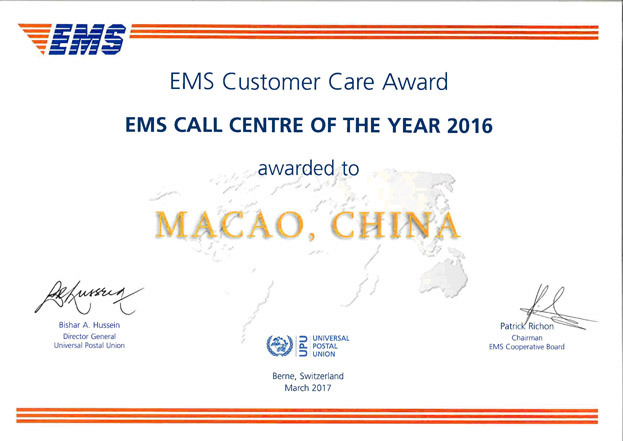 In 2016, Macao Post EMS service had achieved “ EMS Cooperative Performance Award “ (Silver Level) and EMS Call Centre of the Year 2016. 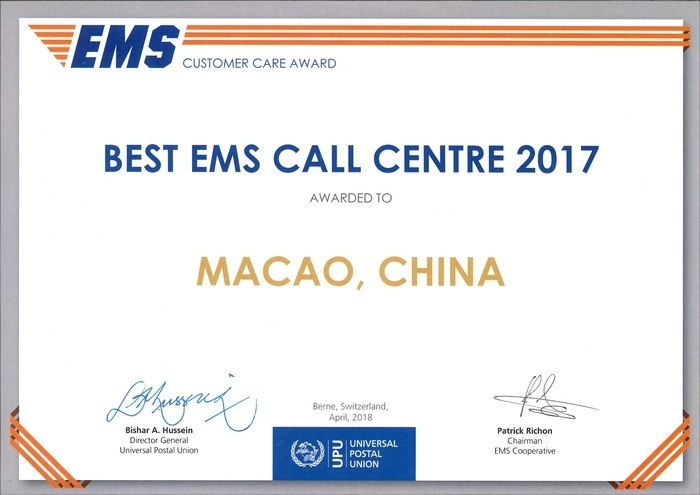 In year 2017, we also achieved “The Best EMS Call Centre of the Year 2017.